TANZANIA is the most peaceful country among the five members of the East African Community (EAC), according to the 2011 Global Peace Index (GPI). According to the index announced on Wednesday, Tanzania ranks 8th as the peaceful state out of 37 countries in Africa. Botswana tops the countries in Africa, followed by Malawi, Ghana, Mozambique, Burkina Faso, Zambia and Namibia. holds the 18th place in Africa, Rwanda (21st), Kenya (25th) and Burundi (31st). According to the index, there has been a slight decrease in peacefulness in Tanzania, a trend attributed to increased cases of murder. However, the report says, this is offset by an increase in respect for human rights. 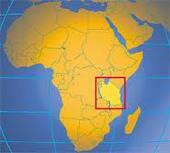 Globally Tanzania ranks 56th followed by Uganda (97th), Rwanda (99th), Kenya (111th) and Burundi (132nd). Generally the index shows that the world has become less peaceful for the third straight year mentioning the threat of terrorist attacks and the likelihood of violent demonstrations as the two leading factors. It says increased risk of terrorism and unrest in the Middle East and North Africa drove dramatic changes in national rankings. The economic cost of this to the global economy, it says was 8.12 trillion dollars in 2010. It says if the world had been 25 per cent more peaceful over the past year the global economy would have reaped an additional economic benefit of just over US$2 trillion. This amount would pay for the two per cent of global GDP per annum investment estimated by the Stern Review to avoid the worst effects of climate change and cover the cost of achieving the Millennium Development Goals. It would have also helped to eliminate the public debt of Greece, Portugal and Ireland and address the one-off rebuilding costs of the most expensive natural disaster in history -- the 2011 Japanese earthquake and tsunami. Sub-Saharan Africa remains the region least at peace, containing 40 per cent of the world's least peaceful countries, Sudan (151) and Somalia (153) at the bottom of the Index. Iceland is the world's most peaceful nation, followed by New Zealand, Japan, Denmark and the Czech Republic. Iraq (152) moved from the bottom of the Index for the first time ever. For the fifth consecutive year, Western Europe is the most peaceful region with the majority of countries ranking in the top 20. Four Nordic countries are ranked in the top ten; however, Sweden drops to number 13 because of its arms-manufacturing industry and the volume of exports of conventional weapons. Joining the European Union has had a positive impact on the relevant members of Central and Eastern Europe with the Czech Republic moving into the top ten (5th place) for the first time and Slovenia rising to 10th position. The index produced by the UK Institute for Economic and Peace is the world's only ranking of nations according to their states of peace. It uses 23 separate indicators to gauge ongoing domestic and international conflict, safety and security in society and militarization in 153 countries.